Welcome to our Princeville home on the north shores of Kauai. The Plantation at Princeville is an upscale condo complex with all the amenities you could ever desire including pool and exercise room. Our home is on the corner lot giving you the most privacy of any unit in the complex. 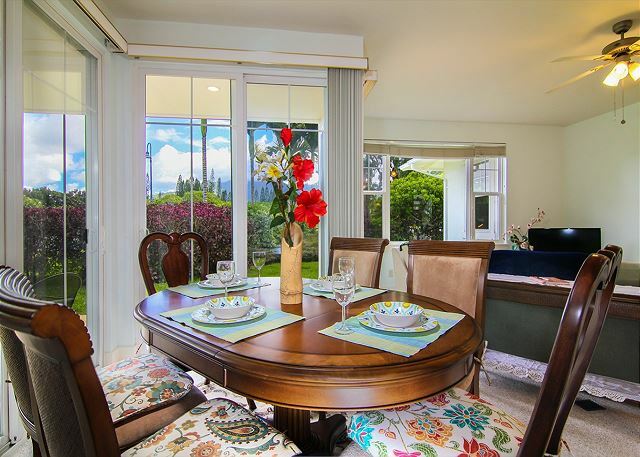 You don’t have to look at your neighbors at all; instead you have unbeatable views of the Hanalei Wildlife National Reserve, cascading waterfalls from freshly fallen rain showers and the world class golf course across the street from the complex. Come to our condo to experience the breath taking beauty of natural rain forests and the fabulous beaches of Hanalei Bay. Our condo was fully remodeled this year with new paint, new carpets and new furniture. The high ceiling and the light colors give this condo a truly airy ambiance. The condo features a California King in the master bedroom and two Full Size beds in the second bedroom. 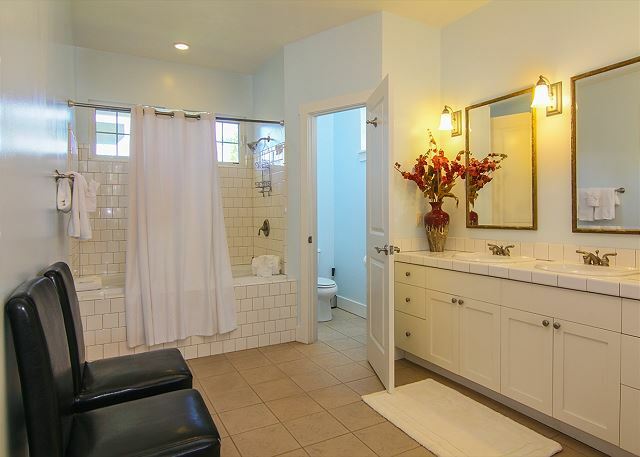 The master en suite is huge and features an over sized oval tub. The second bathroom has a tub/shower combo. Our kitchen is fully equipped with all the utensils you will need for a quick snack or a gourmet dinner whatever suits your fancy. There is so much to see, do and experience in this home away from home. **We welcome couples & families alike, please note that interiors are not child proof and have glass table tops, glass sliders, no child safety locks on cupboards and sharp corners on furniture etc. please carefully consider if our unit is suitable for your family if you have young children. As a guest at Plantations #111 & RE/MAX Kauai, you'll have access to Kauai's Premier Concierge Service at (855) 665-2824 http://kauaiva.com/index.html, we will help you build your perfect vacation. The location on the north shore is ideal. It is not on the beach, of course, you can get that in Poipu. 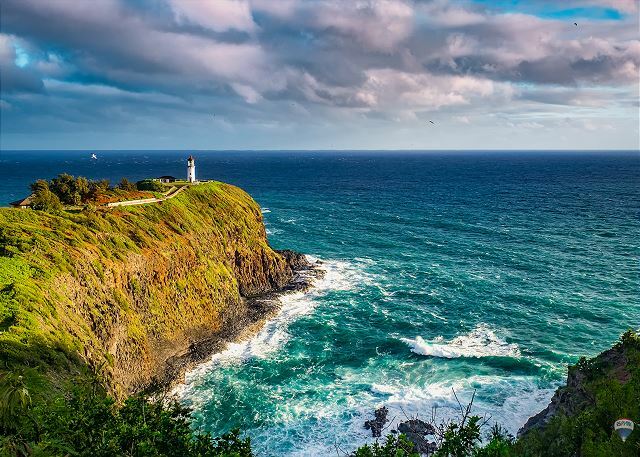 North shore is all about the other amazing beaches and absolute lush surroundings ! Very spacious unit and so much natural light. Appreciated the stocked spice cabinet ! We were pleased with the condo generally- loved the view. The corner was quite noisy but we got used to it. There were a number of small things that needed repair but nothing that impacted the pleasure of our holiday. The place was very clean. We needed help twice from the property management company during our stay- both times they were pleasant and professional in their response. My family got to that cozy house and we were amazed the cleanliness and adorable 2 bedrooms, small kitchen with the appliances and pots, utensils for us to cook during our vacation! Stores were nearby! It was detailed information how to get in to the unit, check in and check out! Than you and definitely we will come back again! This was our second time staying at the Plantations @ Princeville. We were very happy with the accommodations. The unit was in an excellent location and had a fully stocked kitchen. The only thing missing was a second hairdryer in the hall bathroom. We had a blast on the mountain tubing activity and also took SUP lessons. Everyone is extremely friendly and helpful. Hope to be back in 2020. We originally booked another home and worked with the management company to move to this home. We found, for our personal needs, a home with A/C was critical as it was unseasonably warm and humid. 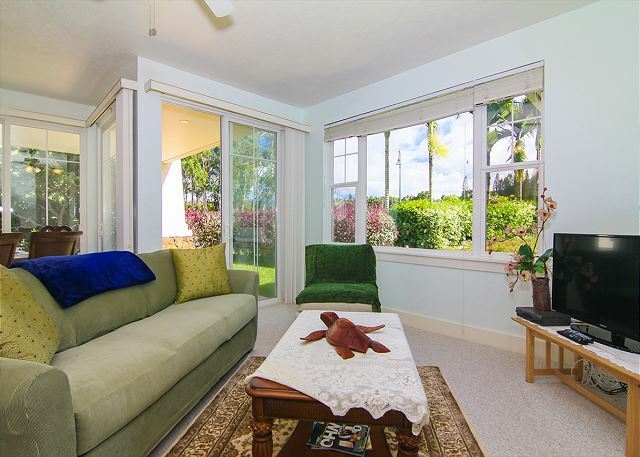 This home is bright, even with the blinds drawn and we loved sitting outdoors on the lanai in the morning having our coffee. The other home we had rented did not have access to a pool and this was also critical to the success of our family stay with our children and grandchild. Our only negative pertained to the lack of attention to the items working in the home. We had to contact the management company because there was only one steak knife, one large-very dull- large knife, warped pans that needed to be replaced, and multiple appliances in non working order. We were immediately brought replacement items but appliances never worked properly during our stay. The microwave start button didn't work, the stove top only worked on high, the toaster oven was missing the rack and only the bottom worked burning toast on the bottom and leaving the top uncooked. The coffee maker didn't have an auto off and the stopper was broken so the first morning we had coffee running all over the counter top. We loved the fact that we could put in our Netflix account and could walk down to the St Regis. We did spend a lot of time at Anini Beach which was perfect for our 13 month old, and found Kalipso, Ama and Dolphin Restaurants excellent and very kid friendly. The home was very clean, well equipped with beach towels and chairs. We would recommend this home to friends but hope the management company fixes the broken items for other guests. We were delighted with this immaculate, open, light filled condo and the air conditioning was definite plus. The pool and bbq area is close by only steps away. Having the convenience of nearby golf, shopping, beaches made our stay at Plantation 111 a pleasure. This is a very nice apartment. Clean, and kept in very good condition. It has all the amenities you could need. We loved the fact that it came with a starter selection of the usual household goods (dish soap, washing powder, toilet roll, tin foil etc) and it was very useful having some beach equipment in the garage (body boards, umbrella, chairs etc). The kitchen was well equipped (it even had a kettle, which seems very rare in the US, but much appreciated by us British Tea drinkers) and the washer/dryer was well used after hiking in the muddy Kauai hilly. A combination of the AC and ceiling fans/windows was just about enough to keep the apartment at a comfortable temperature. The pool is nice, although the rules are a little strict for my liking, no jumping, horseplay, ball games, snorkelling etc, and threating fines for disobedience. It felt like they were trying to make it calm pool for adults, whereas I wanted the pool for my kids to play in. Other families seemed to ignore the rules anyway. I also felt the 9am opening was a little late, perhaps because we came from a different timezone and our kids were up by 6am every morning! The area is really nice, you can walk to the local supermarket, a very well stocked Foodland. There are a few restaurants in walking distance, although we didn't eat in any as they all opened a little later for our family. The road was a little noisy with the windows open, but it wasn't a real issue. I would definitely return here if I ever get the chance to get to Kauai again. The location was great and the place clean. Beach towels, chairs, and body boards were available. The neighborhood was peaceful and the driveway and garage were huge amenities to have. Air conditioning worked great (most places do not have AC! ).There is some street noise from the main road in the back and the water pressure is low in this area. These are nit picky things to mention because they did not take away from the location and well maintained condo. I felt it should be noted for those expecting perfection (This place is as close as it gets, we have been to Kauai multiple times). We will book this place again. The place was clean and had a nice Mountain View. I like that the supermarket was close and convenient. Amazing!! This condo had everything we needed for a family of 4! Stroller, high chair, snorkel gear, buggie boards! Literally everything! We already plan to stay here next year! Aloha!! We had a great stay. The place was well equipped for our family of four and the beds were great! The condo is in need of a few updates (sliding doors that don’t slide, blinds that we didn’t allow the kids to adjust for fear of breaking them,a very fussy dishwasher and poor water pressure in the showers) but overall in good condition. However it was clean and as pictured in its ad. The biggest down fall to this unit was the location in relation to a busy street. The street noise was constant, daysnd night. If you are a light sleeper it is a big downfall. A well eqipped unit. The beach gear was a bonus & very handy when visiting the beaches. The unit was right next to the golf course. As it was on the corner the traffic morning & night was noisy. The outlook over the mountains was magificent especially after the rain as lots of waterfalls. You need transport to stay there. There is a path to the village about a 25min walk. Very comfortable. We really enjoyed waking up every morning to the view of mountains while drinking our morning coffee. This unit is in a nice neighborhood. It is fully equipped with beach towels and laundry services. The fans kept the bedrooms cool and lulled us to sleep every night. The rental was immaculate. We enjoyed our stay incredibly. We woke up and had coffee with the mountains and a waterfall in the background each day! We can't wait to come back to Kauai and can't imagine staying anywhere else. This rental is in perfect condition, and it really felt like home for the week! We loved this # clean and beautiful.Would stay again and we hope to. Played golf and just walked across the street. We enjoyed a great stay. The unit was exactly as described and very well maintained. We love the Northshore and the Plantation complex is in a great location. Beau et grand condo, très bien équipé! Quartier calme, piscine à proximité! Avons apprecié de pouvoir prendre tous nos repas à l'extérieur avec une vue magnifique! Seul point à améliorer: il n'y avait pas de serviettes de plage fournies! Mostly ok. We loved the area. We were disappointed by the pervasive road noise and the toilets that didn't completely flush. Alhoa! I recently stayed here for 10 days and this condo was awesome! It was super cute and super clean. The lanai was perfect for sitting outside and eating a wonderful breakfast while listening to the birds chirp. The amenities were great too. It was nice not having to rent or buy beach items after arrival. The only issue I had was the air conditioning wasnt working properly the last few days of my stay. Luckily I wasnt at the condo frequently over those days to make it unbearable. Overall this was the perfect condo for what I was looking for, and I'd certainly recommend it to anyone staying on the north shore! Mahalol! 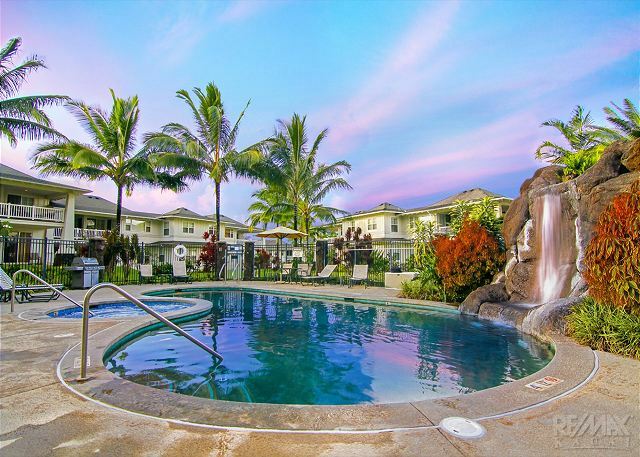 We have been to Princeville several times and have enjoyed the various places we have stayed. The Plantations was great it. We took two of our Grandkids and we all enjoyed it. It was clean well maintained and we would recommend it to others and would stay their again. We had a great time staying on the north side of Kauai! This condo is in a perfect location. Close to some amazing beaches and short drive to others. Close to grocery and shopping as well as trails for running/walking. Quiet considering it's a resort area and very safe and friendly. Our condo had everything we needed. We felt very much at home, beds were super comfortable, huge master suite, and kids loved their room with 2 double beds. 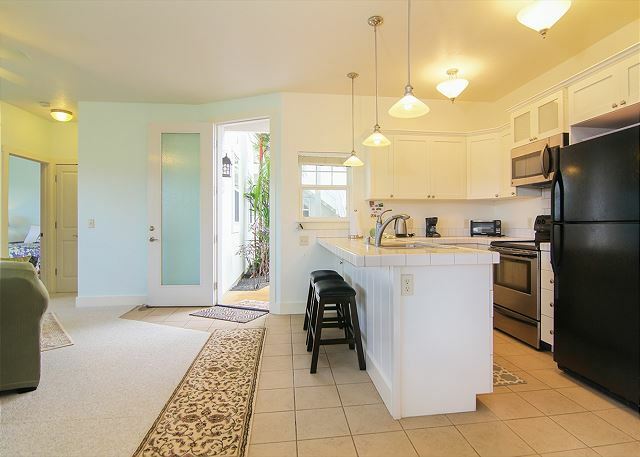 Loads of room and stocked with everything for entertaining and beach days?? This was an excellent location for a small family vacation. 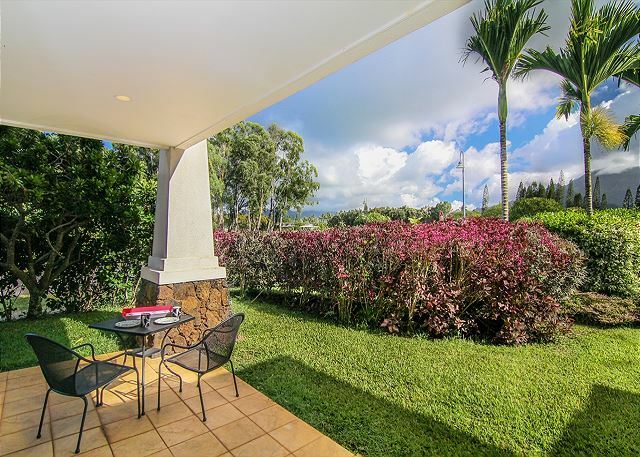 Centrally located in Princeville, it is a quick drive or a pleasant walk to the stores, the golf course, or even the queen's bath. The cost was quite reasonable. The condo is well kept. We would definitely stay here again. a guest from Nevada city, CA does not recommend this vacation rental. My family and I really did like the look of this condo. The decor is quaint and there are many good books about the island in the bookshelf. The beds were all pretty comfortable and the bathrooms are nice and big. The downside to this rental is that the dishes were not cleaned properly. The dishwasher did not properly clean the dishes and the pans in the cupboard were scratched theplon or some non cast iron type. I was excited to have a dishwasher as i do not have one at home but unfortunantley eneded up washing dishes on my vacation. My rental vacation stay was nice. We did however experience a slow clogged guest bath tube, rather large **** roaches in kitchen and guest restroom ( due to filthiness)there were wet dishes put away in kitchen closets and wet towels in bathroom closets, rear door leading to garage had screws and bolts coming out of lower portion of door frame and the worst of all the over freezing of AC Unit. AC unit would freeze over everyday and heat up home to over 81 degrees. hotter inside then outside. We had maintenance man out and he removed an extremely dirty filter from AC and after it had drained water all over floor, unit was turned back on by maintenance man. There continued to be problems with AC Unit. I wouldn't recommend unit to people with small kids because unit is not kid friendly. There was way too much glass property inside and unit to close to major road for outside playing. Over all Unit worked out for us. We had already paid in full for rental unit with nowhere else to go on an unfamiliar Island. Perfect place for a vacation. Close to the community pool and BBQ. Close to walking paths. Provided beach mats, boogey boards and umbrellas. Well set up! This was the best vacation ever. My husband and I and a couple of friends stayed for only a week. We so enjoyed our stay and everything was provided. The condo was beautiful and the view.....wow the view. It was very comfortable. The managers were very nice and accommodating. We needed to have a late check out and this was so nice. Unit was as advertised. The only negative was the proximity to the road intersection, quite a bit of traffic. We completely enjoyed our time at this condo. Very clean and up to date. Loved the decor inside and the garage was a huge plus. The vacation rental experience was awesome! 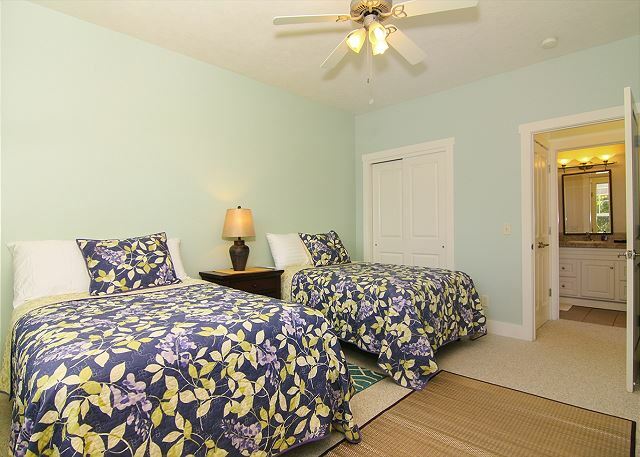 Plantations 111 is a great vacation property! Clean, comfortable, had everything we needed. Great location accessible to Island spots we wanted to visit. Loved the hot tub! Only one issue, the dishwasher didn't work properly we called the technician. Hope the dishwasher is replaced because we'd like to go back! The condo and the area was amazing! The ReMax Concierge Service was terrible. Received an email from the Concierge saying if I needed any help with activities to send them an email, so I did. Three weeks went by not a peep, not even a hey we received your email and we are working on it. Three days before departure received an email from Concierge saying we arranged your activities for you please send credit card information. They didn't even say what they arranged or how much it was going to cost me. Wish we were still there!!! The process of booking this property online was easy and efficient. The location on the north shore of Kauai is beautiful. The condo was very clean,well appointed and quiet. There is some noise from the road that runs along the unit but not enough to be a distraction for us. I would recommend this property to family and friends. Thanks for the use of your home. We look forward to coming back in the future. Comfortable, clean and awesome location!! My friends and I had a wonderful and comfortable stay! Very clean and wonderful location! The only thing we wished was operating was the DVD player with instructions on how to operate the TV. Other then that, we had a great time!! The unit has everything that we needed. 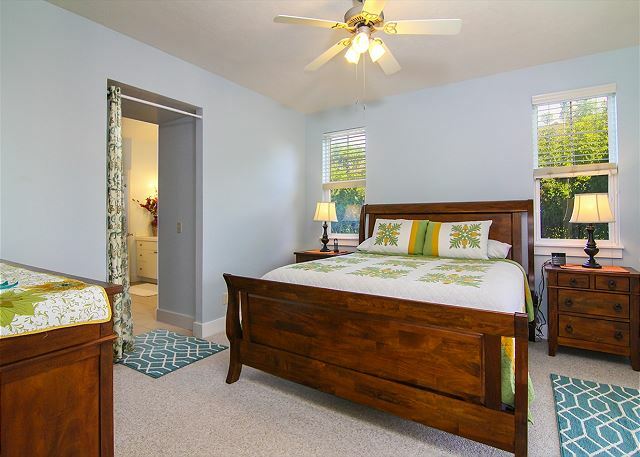 Super confortable for my family(2 adults and 2 child)...the condo is pretty good and the nearest beach (hanalei) is perfect...good waves and a lot of fun for the kids. I really recommend...???? This space was beautiful and exactly what we were looking for. The owners provided a starter kit of paper towels, soaps, toilet paper; as well as a well stocked kitchen with all the tools one could need. The space was clean and tidy. Neighbors/other guests in the area were friendly and quiet. The spot was perfect for any couple looking to get away from the noise and still be walking distance to a collection of shops one direction and the beach the other. This is also located across the street from an amazing golf course. After booking my trip through flipkey and trip advisor I'm confident I won't need to book any more vacations through a hotel in the future. Especially those vacations on the islands. The Plantation is an amazing rental location and we will most likely be using this spot again in the future as well as recommending this location to others! This rental was was very clean, convenient, easy to access. We will surely stay at this property again on our next visit. Aloha and Thank you for taking the time to write about your recent stay at Plantations #111. We are so pleased to hear how much you enjoyed the property, amenities and location. We hope to see you again in the near future. -Tamee D.
Overall we had a great time on Kauai. The unit was nice and clean. This was our second time staying at the complex. Upon our arrival a gentleman delivered chairs to the unit. Lots of chairs....probably too much. We are very satisfied with the property layout.Beautiful view but the constant traffic, car noises --not appealing.Good location.We had fun snorkeling at Tunnels,Hideaways.Hiked to Hanakapiai Falls.Enjoyed food at The Dolphin Restaurant,Bouchons Grill and Sushi Bar.Went to the South Shore several times,tho very far from this 's worth the drive.When we can,we would come back to Plantations again. I would definitely recommend the Plantations #111 condo! It is newer, light, spacious with large master bedroom. Beautiful views of the mountains and I could even see a couple of waterfalls off the mountain while sitting at the dining table. There are nice amenities like boogie board, beach towels, umbrella and sand toys. The washer/dryer are a huge benefit and I would throw a load of beach towels and swim suits in every night. 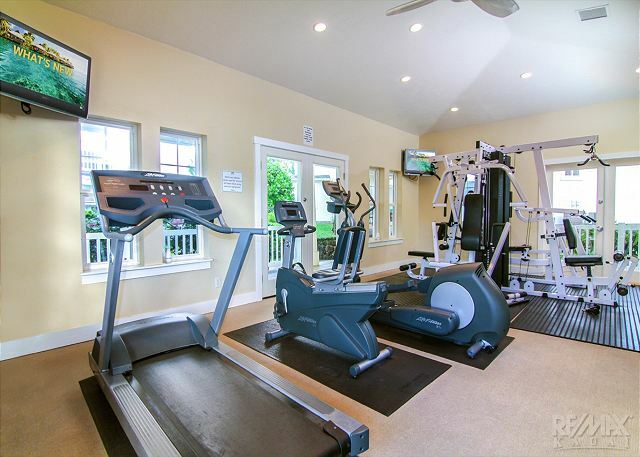 The pool and hot tub are nice and the exercise room looked good although we never used it. Two minor negative points is that it being on the main street on Princeville and it being on the bottom floor, there was enough noise we didn't want to open the windows but it was definitely quiet enough with the windows closed and with the A/C we didn't need it opened. (Also some slight noise from upstairs unit like toilet and shower mostly.) Secondly, however, the A/C is just in the master bedroom and kitchen/living room area. The second bedroom did not have A/C and it did get a bit warm with the windows closed (which we did because of the noise). There was also a cat that came around and I really don't care for cats so one more reason to not open the doors. Our honeymoon stay at this condo was perfect! The view is absolutely breathtaking. We ate lunch on the patio everyday and felt very secluded by the hedges of flowers. The furniture and kitchen are all very new. I was especially happy with the master bathroom which was enormous including a double sink, soaking tub, and separate room for the toilet. We loved having a garage attached to the condo and used the beach equipment we found there. We also used the Netflix. The only negative was that we never received an email with the check in information so when we arrived at 11 pm we had to track down the owner's number and get the key code. The condominium is older but nicely and recently updated. 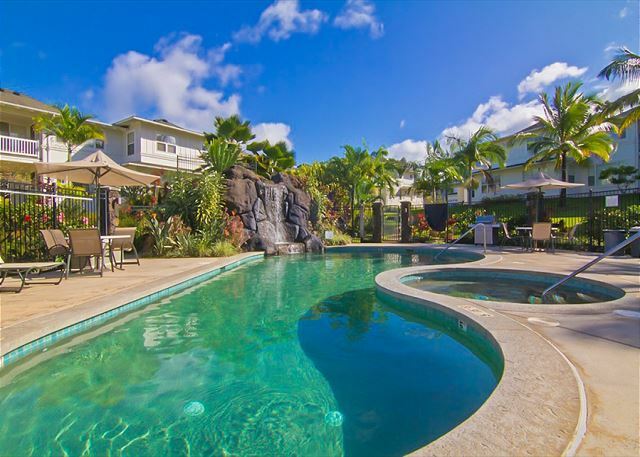 Well equipped and excellent location on the north shore of Kauai. Be aware that this unit is right on a busy intersection and traffic noise is very apparent. 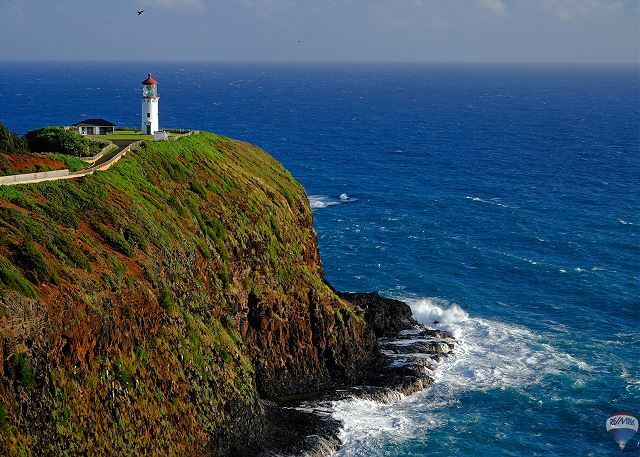 If you are seeking peace and quiet in Kauai this may not be the place for you. The coffee maker will only accommodate up to 4 cups and should be upgraded. Overall, this property represents a good value. Our family of 5 stayed here for 15 nights. The place was clean, and had everything we needed. It was very handy to have the garage so close to the kitchen when unloading groceries. It was sometimes noisy (street noise) if that's a factor for some. But overall we highly recommend this place. The condo had everything we needed, brand new, most of it, so it worked fine for us. It was lacking in personality, though. There were no pictures on the wall, no bookcase of books to look at. The corner location with all the traffic was not ideal, workable, but not peaceful. Princeville weather was very spotty, lots of cool, windy, cloudy days. Great weather for hiking. We drove to Kapaa or further south most days to find a sunny beach. The main road into Princeville is atrocious, lumpy, bumpy, full of potholes. You would think with all the homeowners fees, it would be much better kept. Angela Pycha with Remax was very helpful when we missed our plane (the highway closed due to an accident) and had to stay a couple extra days. Thanks, Angela. All in all, despite a few bumps we loved our vacation! Oregon could use some work though! We loved staying in this unit at the Plantation. The beds were very comfortable and the unit was spotless. Excellent vacation rental. Quiet neighborhood, condo has all the necessary amenities. First of all let me say that the Remax family felt like family from the first moment we spoke to the. Our plans changed due to the hurricane. However everyone did everything to make our stay seamless. We had personal cell numbers that they answered and helped us. We trusted them from the get go. Cannot say enough about the condo as well. Immaculate indeed it was. Will will for sure be back.